Part 1 in a 4 (or more) part series – Click here for more. Well, the time has finally come for me. A good friend recently asked me if my brother and I would brew the beer for her upcoming wedding. We of course said yes. 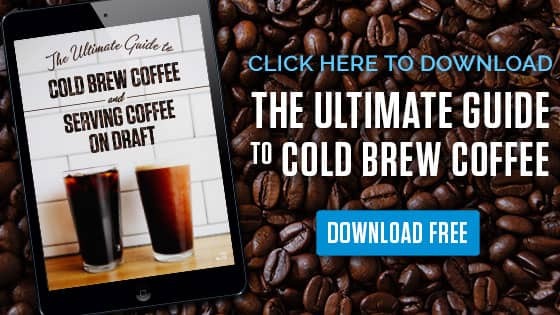 I don’t want to take my keezer somewhere and worry about plugging it in, loading and unloading. Plus, with the number of bottles I have buried in the bottom of that thing, it’d take me a week to empty it out. So the decision? Build a “semi” portable craft beer bar. My sister is a reclaimed wood expert and had been talking about adding a beer bar to her plethora of wedding and handcrafted items. So we’d be killing 2 birds with one stone, right? So next up was deciding on size, number of taps, etc. Deciding on the number of taps was the easy part. FOUR. I just happened to have this 4 tap keg kit lying around my house for another project that never happened, so I decided I’d just use it for this wedding bar. Deciding on the size was where we ran into some “discussion”. I’m 6’5″. I wanted the countertop of this bar to be sizeable. Taller than a standard bar height of 42″. After hearing a few “most people aren’t as tall as you”‘s, we settled on 44”. (I think it was the argument that all women wear heals to weddings that got me the 2 extra inches). So with a counter just shy of four feet tall, we decided to make the unit 4 feet wide and only 18″ deep in hopes of keeping the bar “semi” portable. That covers the base. We’ll then add a tap tower, which is still being designed, but we’re looking to make the tower easily removable for transport. Hoping that once all assembled, the overall height of the bar is about 6 feet tall. 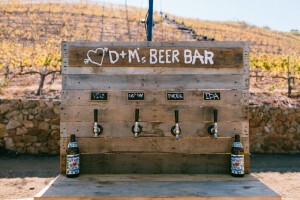 If you’ve looked for a wedding beer bar, you’ve likely seen this one. This wedding has to be one of the most viewed worldwide, aside from the Royal wedding of Prince William and Kate, but the amount of views of this gallery for the beer bar that was made must be a close second thanks to all the publicity this beer bar has gotten on Pinterest. We had no affiliation with either of the bars pictured in this post. These just serve as reference and inspiration for the bar that we’ll be creating.